Developers solve some of the trickiest problems a company has to face, whether it is fixing complicated issues or building new features designed to make users happier. The one problem they should never have to solve is how to keep everyone else in the company in the loop as to what is being worked on. 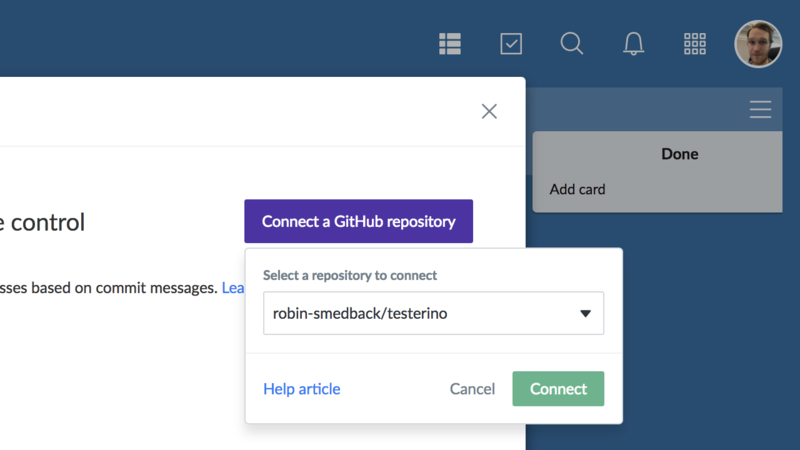 By integrating Favro with GitHub or GitLab Source Control, you can move cards through your boards via commit/pull/merge requests. 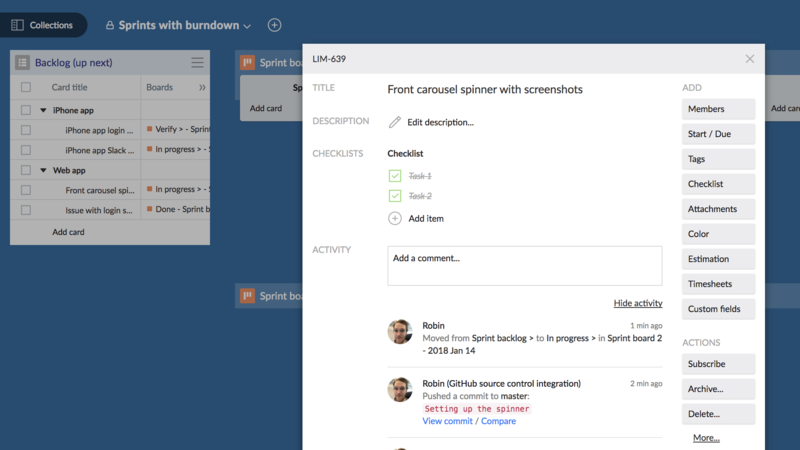 Go the the board you want to connect to GitHub, open the board menu (⋮), More, and Integrations and API... If not already enabled, you can enable the integration from this screen. You then need to allow access to your GitHub account. Once you have authorized access to Favro, you need to connect to a repository. Just as with GitHub, you go the the board's hamburger menu, and navigate to the Integrations and API screen. 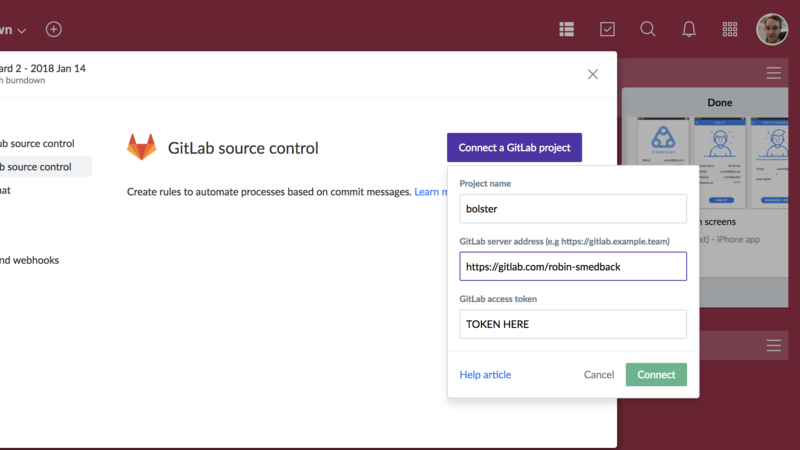 From there, you need to specify the server address, project name, and GitLab access token to use (you find the GitLab access token under User Settings, Access Tokens in GitLab). If you entered everything correctly, you should get a URL that you will need to post push and merge request payloads to. 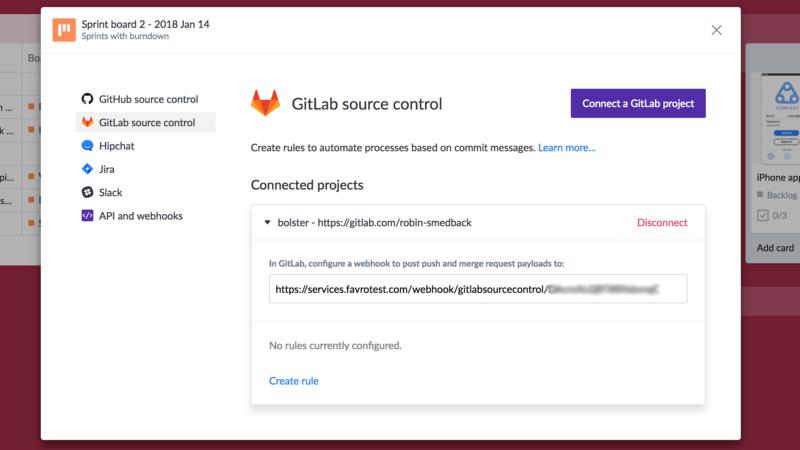 Go to your project in GitLab, Settings, Integrations, and add this URL, check the triggers push events and merge request events, and add the webhook. 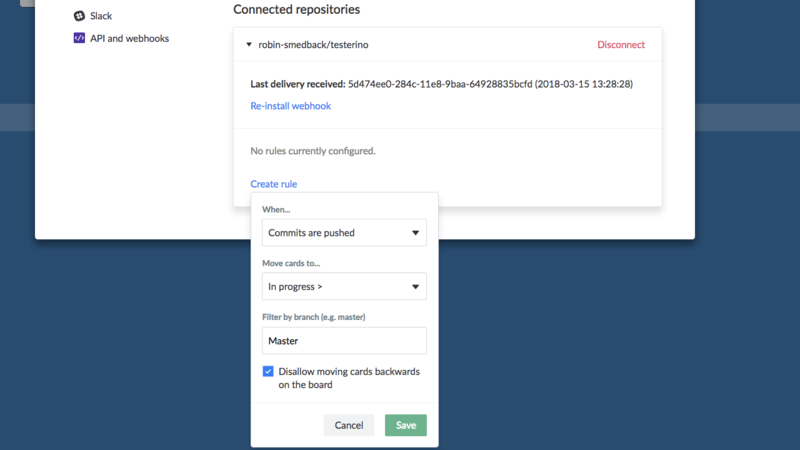 Once connected, you can setup rules for how cards should be moved based on actions in GitHub/GitLab. 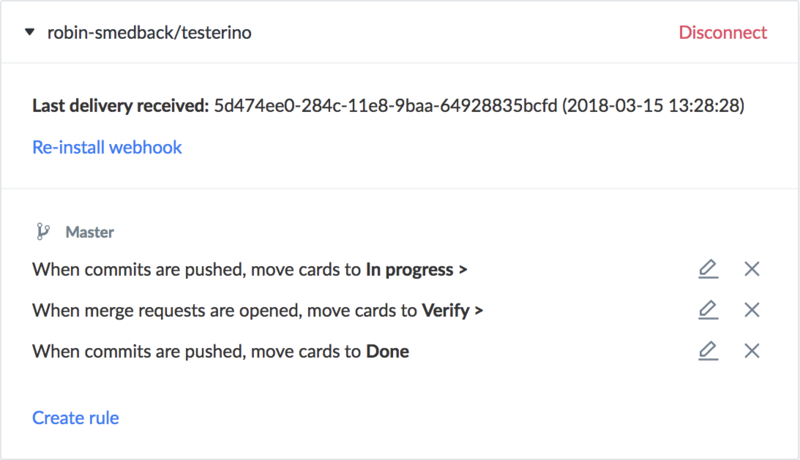 Now as you perform commits and merge requests in GitHub (as long as the message contains the card ID, for example LIM-639), these messages are added to the card in Favro and the card will also be moved accordingly. Your dev team can now focus on what they do best, and everyone else in your company will be kept up-to-date. 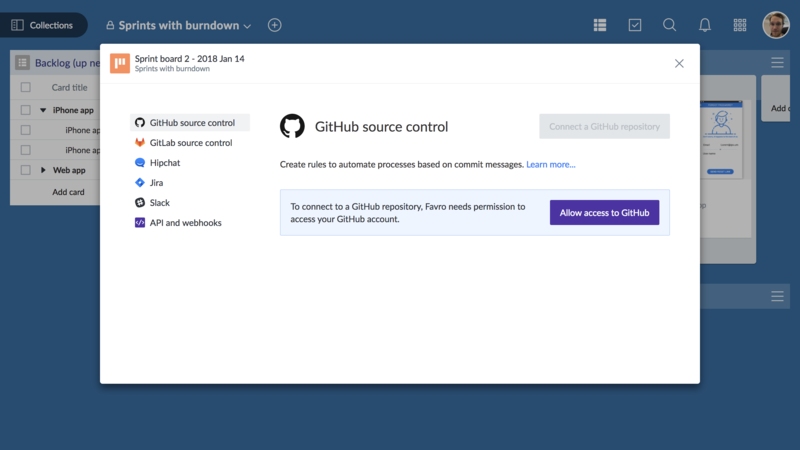 If you connected GitHub Source Control, you might also be interested in managing GitHub Issues to Favro.